Candi is a native of the Eastern Shore of Maryland and has been making resort vacation dreams a reality for decades. Candi is a native of the Eastern Shore of Maryland and has been making resort vacation dreams a reality for decades. Her unrivaled knowledge of the vacation industry is unsurpassed. She knows virtually every high rise and Ocean City condominium property building like the back of her hand. Whether your investment goals are a second home or a rental investment Candi will help guide you to the perfect Beach property. Candi has over 40 years of experience in the Resort Real Estate Industry in Ocean City and surrounding areas on Maryland's Eastern Shore. She holds real estate licenses in Maryland and Delaware. Her vast experience includes all aspects of Beach resort property investment, sales, leasing, and management. Candi joined Coldwell Banker Residential Brokerage (CBRB) in 2003 when CBRB acquired one of Ocean City's most established and prestigious real estate firms, Moore, Warfield, and Glick (MWG). Candi had been a leader in MWG since joining them in 1982. She was an original agent for MWG's 45th street office. 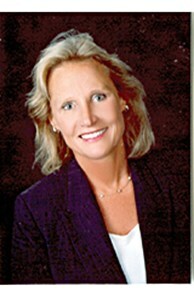 In 1985, she moved to MWG's 120th street office as the development, sales, and leasing activity in Ocean City rapidly grew, with extensive new development in the north end. Candi has earned the professional designations of Associate Broker, Certified New Homes Sales Professional (CSP), Certified Residential Specialist (CRS), and Recreation and Resort Specialist (RRS). She also is a Graduate of the Real Estate Institute (GRI). Candi was born and raised in Salisbury MD and spent summers at the beach growing up and watching Ocean City develop from the small sleepy town through the explosive development leading to what it is today. Candi has been married to Mike Noyes, a REALTOR and resident of Ocean City since 1965. He grew up downtown on Talbot Street spending the summers working at his parent’s motel and watched Ocean City explode with development of high rise row and the numerous condos and single family homes on the northern end of town. Mike possesses a wealth of knowledge about Ocean City and can tell you anything you want to know about this great resort and much of its history. His vast knowledge is unparalleled and his honesty and straight forward approach to real estate sales will put you at ease. Candi and Mike have two children, Mike and Sara, licensed REALTORS also that round out the team. Mike graduated Providence College with an MBA in Business and Sara earned her Bachelor of Science degree at High Point University. They were both Division I lacrosse players and are natives of Ocean City. Whatever your Real Estate needs are, Candi and her family will work to make your Resort Vacation Dreams a Reality today!